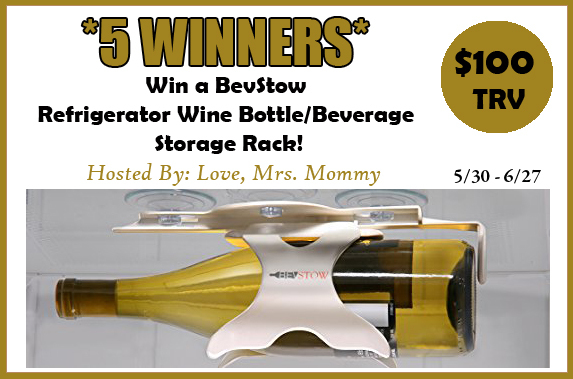 MarksvilleandMe: BevStow Refrigerator Wine Bottle/Beverage Storage Rack Giveaway! BevStow Refrigerator Wine Bottle/Beverage Storage Rack Giveaway! 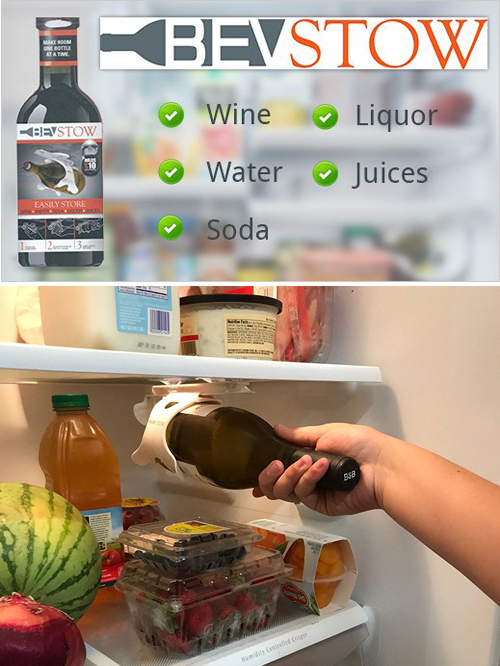 BevStow is a beverage storage solution brand, and its flagship product is a first-of- its-kind device that maximizes usable storage space in refrigerators Flexible design to increase shelf space Can be used separately or with multiple Durable suction cups hold up to 10 lbs bottles Easy to install and remove wine bottle refrigerator rack! **Exclusive Coupon Code** Love, Mrs. Mommy has a special discount coupon code to save 25% OFF your first purchase till June 30, 2018! Just use code MOMMYS25 at your Amazon checkout! This is kind of neat for those who like chilled win and need spot to hold it in their fridge.